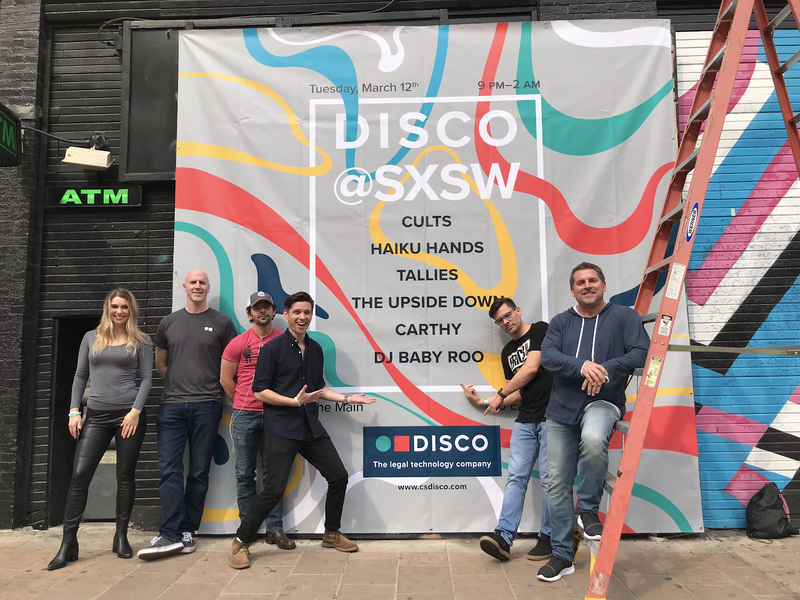 After relocating our headquarters to Austin, Texas, DISCO couldn't wait to join the excitement in the self-proclaimed Live Music Capital of the World during this year’s South by Southwest (SXSW) conference. For the uninitiated, SXSW is a massive tech, music, and film conference that brings over 75,000 attendees to Austin each year. It has been a launchpad for tech companies like Twitter and Foursquare and bands like Haim and Janelle Monáe. 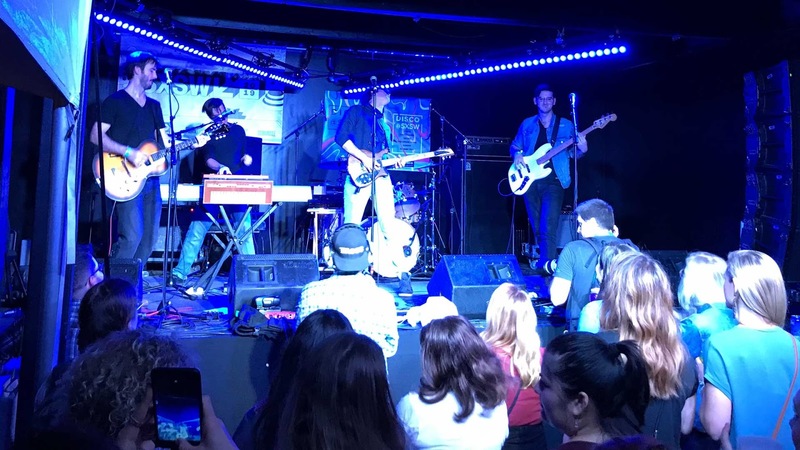 To fully embrace the SXSW festivities, DISCO hosted an official music showcase on March 12th at The Main on Sixth. The showcase, curated by and featuring DISCO employees, boasted acts from around the globe, providing festival-goers the opportunity to see diverse talent and bands who rarely tour the U.S.
Next up was The Upside Down, a young indie band from Chongqing, China, and then Canada’s jangly pop band Tallies. Australia-based, genre-defying Haiku Hands got the crowd dancing before the headliner of the night, Cults out of New York. Lead singer Madeline Follin’s dreamy vocals were backed by an energizing live band, bringing new energy to even their most laid back tracks. 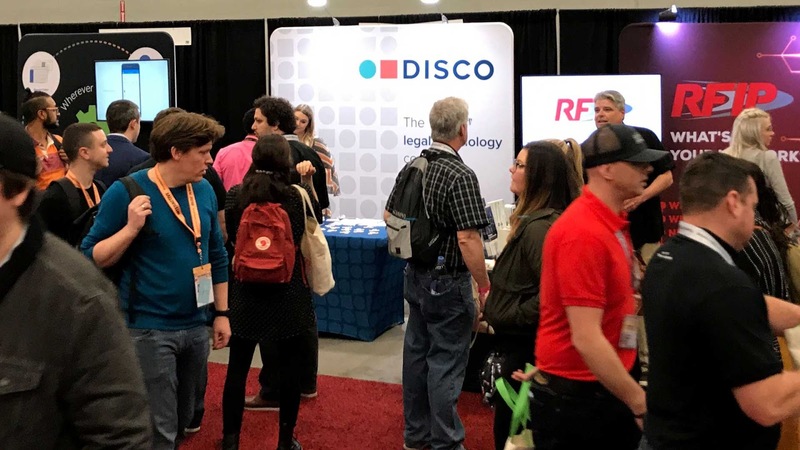 With a full house at the showcase and a buzzing booth at the trade show, DISCO’s first foray into SXSW was a definitive success. Thank you to everyone who came out, to our fabulous team for putting everything together, and we hope to see you all again next year! 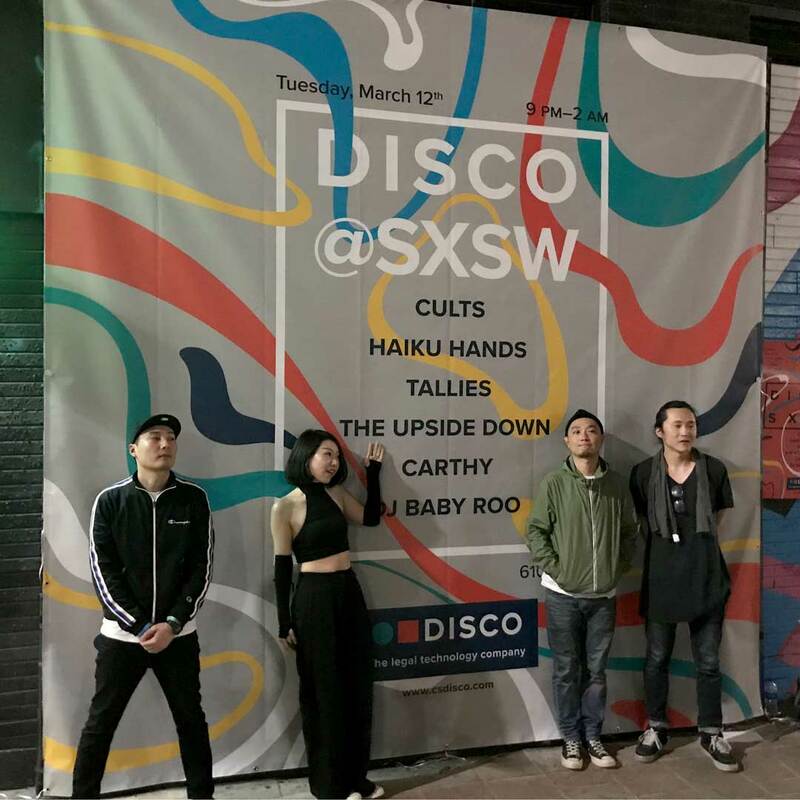 The hottest band at the conference: DISCO SXSW team!